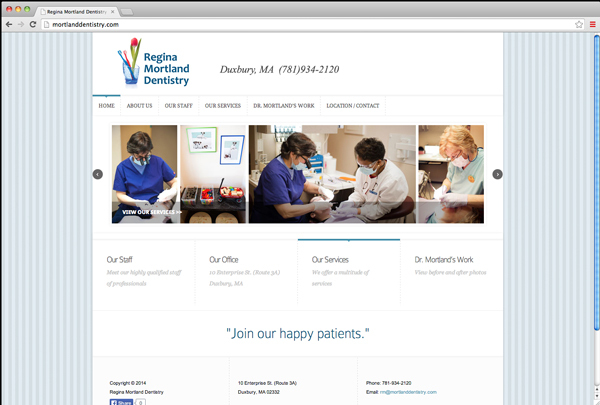 Dr. Regina Mortland is a skilled dentist, and she has a great practice, but she had thought about having a web presence for a long time. She contacted us when she was finally ready to make the plunge. She wanted a bright, cheery website that emphasized friendliness, and she wanted to be able to update herself, if that was possible. It was, and she is, and she thinks the site looks great!